Home Small Group Leaders Discipling Is Your Small Group (or Church) Ready to Go Underground? The church that Jesus imagined and founded, the one that is at its purest state, the church the early believers developed and grew under God’s guidance, was an empowered church. God empowers leaders who empower others who continue empowering generation after generation of Christ followers to share the simple and life-changing message of the gospel. I’d like to think, and I pray it’s true, that if church buildings were closed and church leaders were jailed, the church would not only keep going but would become better and stronger. It’s sad to me that it would take those kinds of extreme measures to get us to do what we were suppose to be doing in the first place. Perhaps we need to stop fighting so much for our “rights” and start empowering others and proclaiming the gospel as we should. Let’s start with prayer, recognizing God’s power, presence, and purposes. May his will be done! 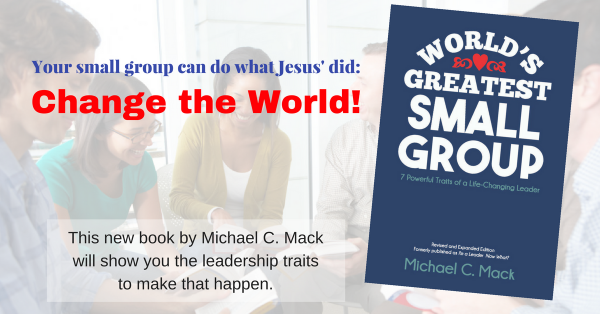 In our small groups and churches, it’s time to share leadership! This is one of the 7 signs of a healthy small group and the one that is the biggest catalyst for a group growing, bearing fruit, and reproducing itself. (See Chapter 3 of Small Group Vital Signs.) It’s time to empower everyone in our groups and churches and to share ownership with every person. Is your church and your small group ready to go underground? What are you doing to prepare? Next article Kim Davis: What Would Jesus Do?